Heal your body, mind, and soul through deep meditation. If you could heal any ailment, both physical and mental, by using your mind alone, wouldn’t you jump at the chance? It may sound like a plot of a sci-fi movie, but believe it or not, it’s actually possible through ThetaHealing. ThetaHealing uses the power of the mind to cure all sorts of ailments and diseases through a series of deep meditations. We already know that having an optimistic mindset has the power to change lives for the better, but ThetaHealing proves that it can do even more. Not only does it heal you mentally and emotionally, but it can also heal you physically. "Growing scientific evidence has proven that most, if not all diseases are rooted in our emotions," says Sanaiyah Gurnamal, Founder and Owner of The Third Eye Center in Dubai and Manila. "Negative thinking dampens our emotions, and negative emotions dampen our energies. Blocked energies, in turn, weaken our bodies, which lead to severe physical problems." Understandably, many might be skeptical about this form of treatment because it does not require any medicine or external treatments, but it has proven to have positive and real results through the years. Practitioners have successfully cured ailments from simple headaches to more life-threatening diseases like cancer by simply getting in touch with their emotions and thoughts through ThetaHealing. The core process of ThetaHealing begins with deep meditation that activates the Theta brain wave, connecting the patient to the Creator of the Universe, or his personal Higher Power. This state of mind allows the patient to tune into the energy of Creation, the ultimate catalyst for change in physical, mental, and spiritual well-being. With the patient's permission, the ThetaHealer will intuitively tap into his unconscious thoughts and feelings via a dialogue, to access and correct beliefs that may be causing diseases. 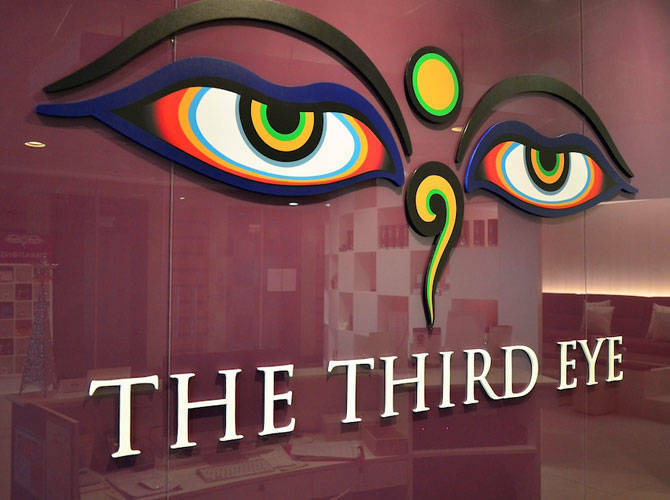 The Third Eye Wellness Center is located at 6th Floor, 20th Drive Corporate Center (Jecoprime Building), 20th Drive, McKinley Business Park, 1634 Fort Bonifacio. For more information, check out www.thirdeyeonline.com.